What an exciting month for Atlanta’s film community! Firstly, “FunkJazz Kafé®: DIARY OF A DECADE” has been entered into the Sundance Film Festival as well as the Tribeca Film Festival and awaiting responses. Keep your fingers crossed. 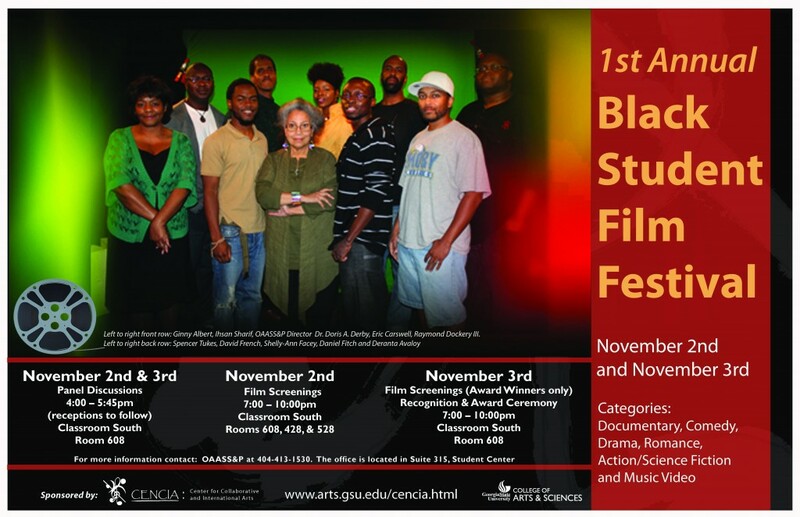 Along with that, film and festival producer, Jason Orr, has been a participant in the judging process viewing films for Georgia State University’s first Black Student Film Festival and will also be panelist for the festival. The categories judged were Documentary, Comedy, Drama, Action/Science Fiction and Music Video. Orr will also be a panelist on the 5th annual Bronze Lens Film Festival with Honorary Co-chairs Roger Bobb and Nicole Ari-Parker. Accomplished documentarians will share their techniques for telling a compelling story that can make a difference or enrich a viewer’s knowledge. Their work covers a range of social and cultural issues. Here’s a link to the full schedule of events.